For in-store inquiries, use sku #2404496. 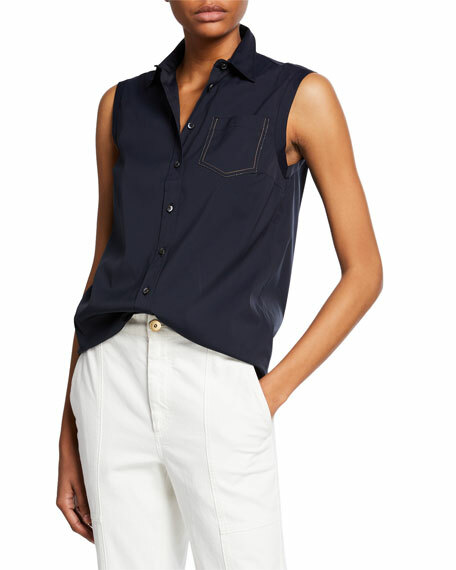 Brunello Cucinelli top in cotton stretch poplin. Spread collar; button front. Sleeveless. Chest patch pocket with contrast topstitching. Semi-fitted. Shirttail hem. Cotton/nylon/spandex. Made in Italy. 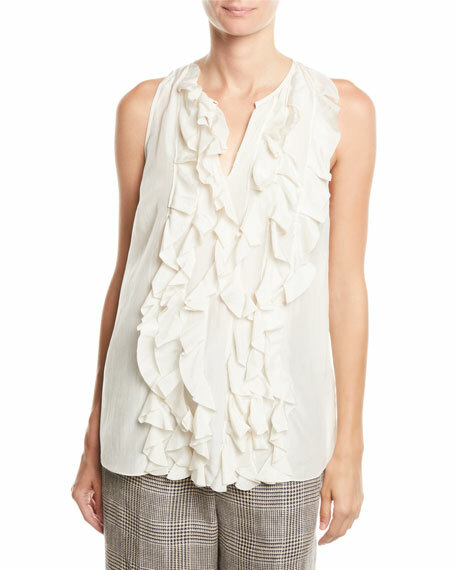 Brunello Cucinelli blouse in ruffled silk. Crew neckline; button-keyhole detail. Sleeveless. Relaxed fit. Hem hits hips. Silk. Made in Italy. 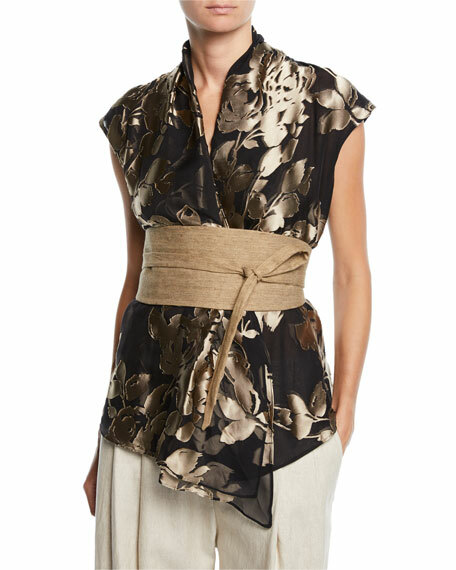 Brunello Cucinelli top in striped silk. Crew neckline; keyhole at back. Sleeveless. Two-tone self-tie belt at waist. Asymmetric hem. Relaxed fit. Silk. Made in Italy.